We're putting together our annual book of your special birthday wishes for Doris's 97th birthday! Please include your message and photo of yourself and/or your babies! Doris loves to see these photos! Cut off is Friday, March 1, 2019 so we can get the book to her in time for her birthday which is April 3rd! Alternatively you can email your message and photo to webmaster@dorisdaymagic.com. 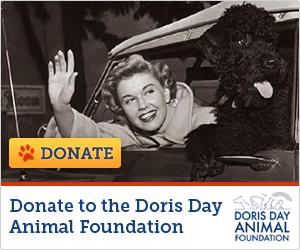 Enter your happy birthday message to Doris here! You can send a photo using this upload or email it to webmaster@dorisdaymagic.com. Thank you!